Develop the institutional knowledge and skills to avoid workplace related injuries and keep your employees where you want them to be - on the job. We custom-design a program to prevent injuries after completing a thorough assessment of your organization. 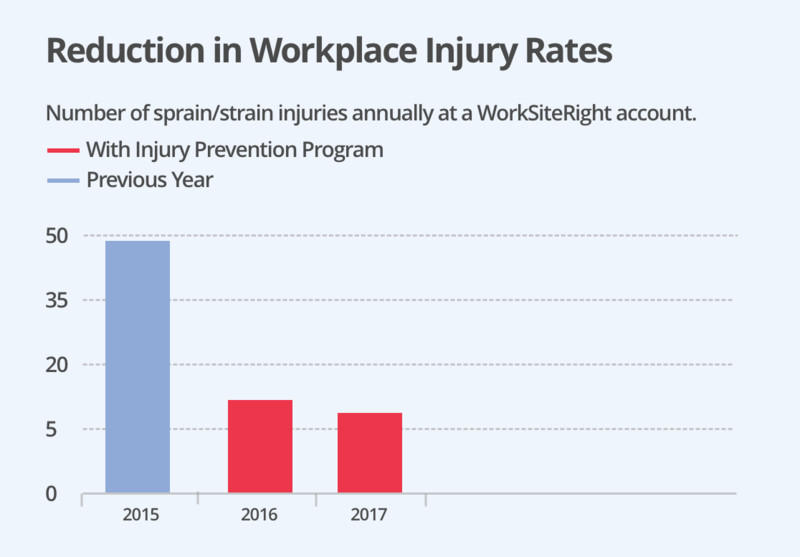 Our programs have a proven track record of reducing OSHA recordable injuries. Our trained providers are competent in completing post-offer employment testing (POET) to determine any pre-existing issues and ensure your employees are well-suited for the demands of their job. Our trained providers treat many conditions and prevent long-term effects of injuries. We work closely with each company’s safety team to ensure that health and safety standards are aligned. We collaborate with your team to conduct trainings such as, lifting, fall reduction, wound care, and proper personal protective equipment wear.